Today’s planned launch of the Low Density Supersonic Decelerator (LDSD ) test craft has been scrubbed due to inclement weather. 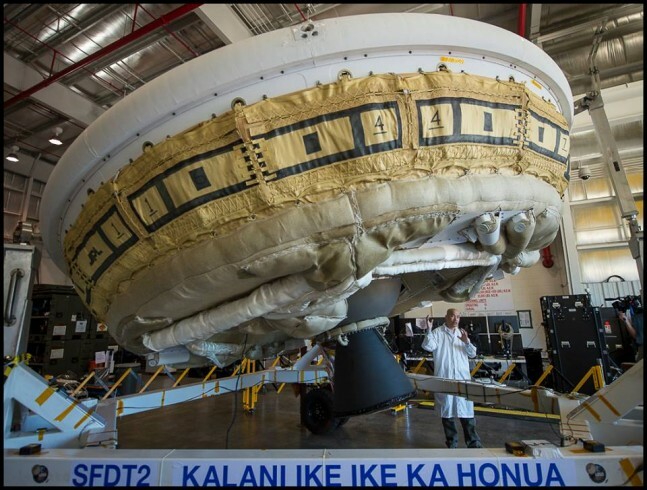 Given that the first phase of the mission involves the lofting of a helium-filled balloon and the recover of the craft will be in the Pacific Ocean, the rain showers that moved into the region off Kauai, Hawaii, last evening will prevent the U.S. Space Agency from deploying and recovering the saucer-shaped vehicle under optimal conditions. Today’s launch (June 4) of the Low Density Supersonic Decelerator aboard a high-altitude balloon has been cancelled due to weather. A line of rain showers developed overnight moving towards the launch site, which result in unstable wind conditions near the surface that would prevent the launch of the balloon. NASA will evaluate the next available launch opportunity, Friday, June 5. Stay tuned to SpaceFlight Insider for updates about the status of the LDSD mission.